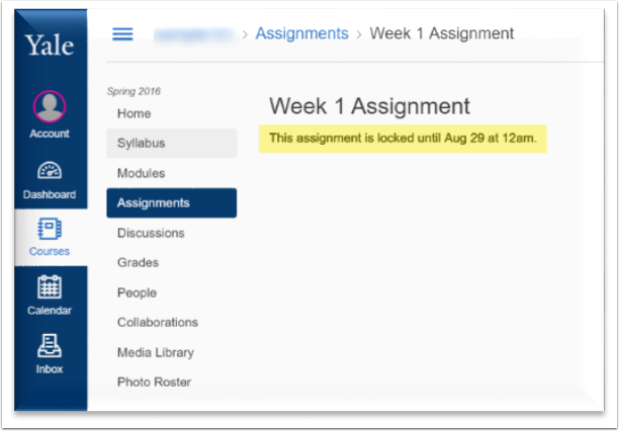 With Canvas @ Yale, you can set both due dates and display dates for assignments and discussions. This document is designed to show the differences between the two features. 1. 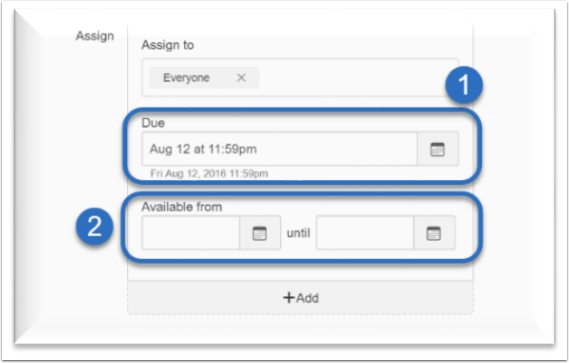 Due Date: When you are creating an assignment, you can set due dates for the students to see. This date will be displayed both in the assignment and in the syllabus page. 2. Display Date: If you would like to prevent the students from seeing the assignment prior to the week it is due and not be able to submit it after it is due, then you can set the display dates.